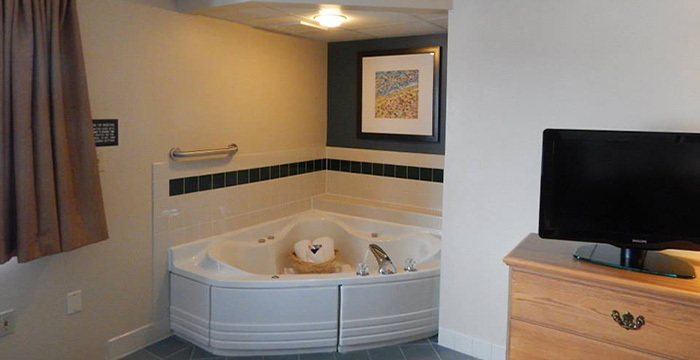 Located across the street from the Door County Visitor Bureau on Hwy 42/57 at Ashland Avenue, the AmericInn offers modern accommodations, warm indoor pool, sauna and whirlpool. Spacious & cozy lobby area with fireplace to greet you and a hot, enhanced breakfast buffet is provided for our guests each morning. Complimentary business center and High-Speed Wireless internet are at your disposal as well. We are a smoke-free facility. A friendly knowledgeable staff welcomes you to the end of the day. 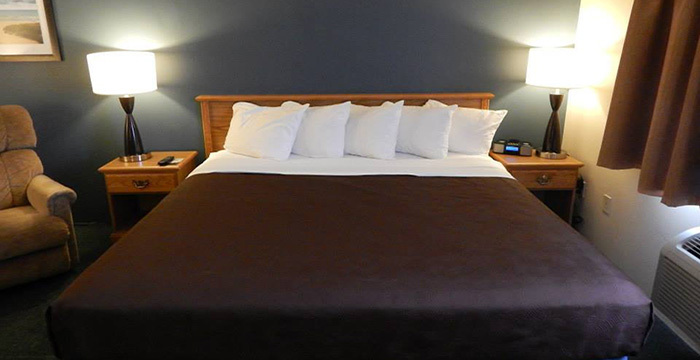 All of our rooms are smartly equipped with a microwave, refrigerator, coffee maker, iron & board and hair dryer. It will feel like your home away from home. 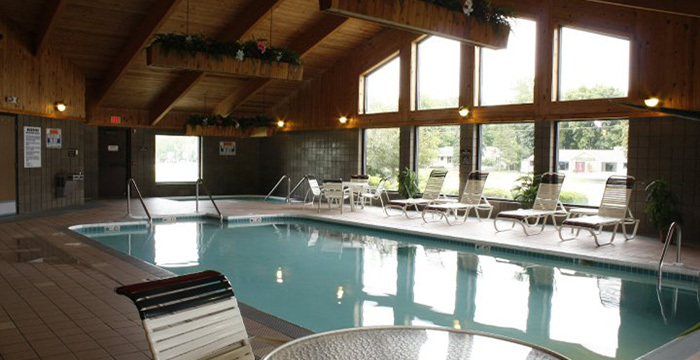 Once you are relaxed and settled in, come enjoy our beautiful heated pool, whirlpool and sauna area with extended hours of 7 am-midnight for adults and 8 am-10 pm for children. For more fun, challenge yourself to one of the video games or a game of pool, which are also located in the large recreation area. For your enjoyment come to the lobby and relax in the fireside conversation area. You can read a book, help put together a puzzle or just kick back and relax with friends or family. We also have a complimentary business center conveniently located in our lobby for your use whether here for business or pleasure. You rise, we’ll shine! Begin your morning with AmericInn’s Perk enhanced hot breakfast buffet, which includes a variety of breakfast foods for both the sweet tooth and the health conscious. The front desk staff at the AmericInn is available 24 hours a day. Please feel free to come and talk with us about anything you would like to see while visiting beautiful Door County. 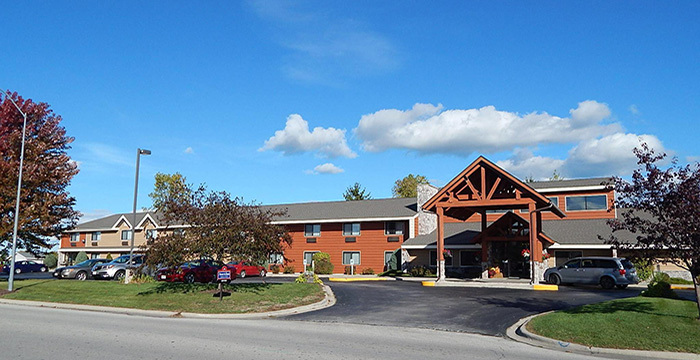 We will do our best to ensure you have an enjoyable stay at our motel and a fun time in Door County.